Spring is right around the corner! It is once again time to pull out the shorts, put on the sunscreen and to start contemplating spring cleaning. 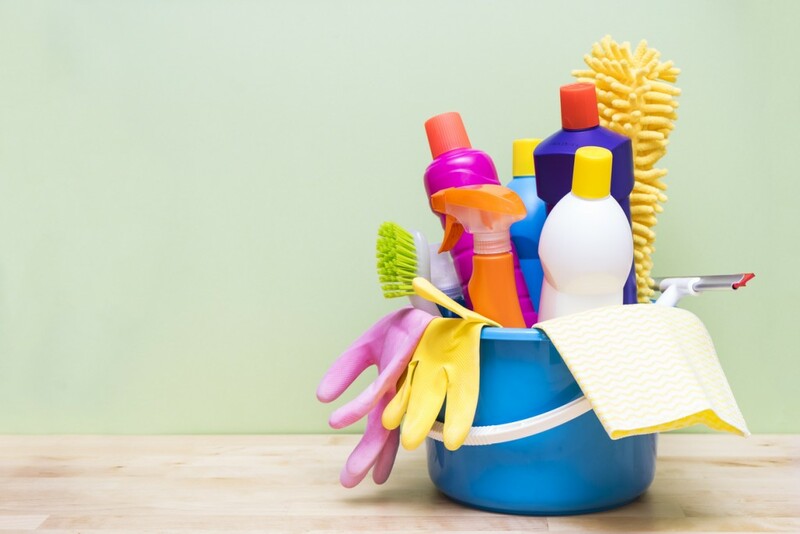 Spring cleaning can be an enormous difficult endeavor, but it is something that needs to be done each and every year. While a lot of people put in a tremendous amount of effort to keep their homes clean, many will overlook some of the most crucial areas each Spring. 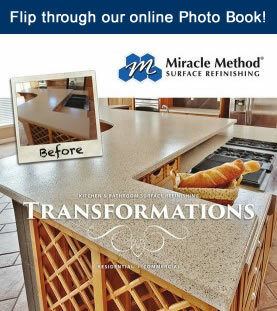 Within this comprehensive guide, you will learn how to make your home immaculate during your annual Spring cleaning! Plan To Trash Stuff: Many people only see Spring cleaning as a time to pull out the Windex and wash their windows. While this is one step in the bigger picture, it is also important to use the opportunity to organize and declutter your home. A cluttered home is an uncomfortable home. By getting your home under control and immaculately organized, you will be able to save yourself a lot of trouble in the long run. You’ll be able to figure out precisely where everything is located and your productivity will increase. Suffice to say, trashing a lot of older belongings can be enormously beneficial. Get rid of the items you do not need and better organize those that you do! Climb Into Your Attic: Many people completely ignore their attic. This can prove to be very problematic in the long run. Climbing into and cleaning your attic will prove to be very helpful. First and foremost, you should realize that there are various problems that will originate in this area of your home. If your roof begins to leak, you will know about it by looking in your attic. This will give you the ability to put a stop to mold, so you do not have to go through the dreadful home mold removal process. Aside from helping you avoid home mold remediation, venturing into your attic can also help you get rid of allergens. Wash everything down and you’ll get rid of a lot of dust and debris. In return, this will improve your home’s air quality and make you significantly healthier. Targeting The Garage: Before going any further, you should check out your garage. A lot of people make the mistake of stashing unneeded items in this area of their home. Unfortunately, this will cause the items to build up and accumulate over a period of time. Each Spring, you should target your garage and get rid of the items you no longer need. Clean up the area and consider adding a new layer of paint to the floor and walls. This combination will help make your home’s garage look brand new, while simultaneously ensuring you have enough room in the garage for your vehicle! Also, be sure to look around your garage for mold. If you spot anything that looks remotely similar to mold, it is pertinent to contact a home mold removal professional immediately! The Exterior: Your home’s exterior is equally, if not more, important than the interior. While you tend to look at the interior more, you should understand that the exterior of your home will play a role in helping others develop an impression about you and your family. If the exterior is left unclean, your neighbors will develop a negative opinion about you. With this in mind, it is pertinent to carefully clean your home on the outside during your annual Spring cleaning. Clean down the siding and wash all of the windows. A little bit of effort will go a long way and will ultimately help to make your home look shiny a new once again. Just remember that you may need a ladder and a pressure washer to remove some of the buildup from your siding. Clean Your Appliance: Your appliances are utilized on a daily basis. Unfortunately, they’re cleaned infrequently. This can become a problem. Your refrigerator will eventually begin to smell horrible, if a piece of food is left behind and it begins to decay. Also, you should not neglect your stove, washer and dryer. These items will need a little attention too. When it comes to the dryer, you should clean all exterior sides, while also putting a lot of emphasis on the dryer’s vent. You may need to hire a professional to help you get the vent cleaned thoroughly. Just remember that a clogged dryer vent could result in a house fire. Therefore, it is pertinent to get the vent cleaned frequently. There is no better time to do that than Spring cleaning! Mold Inspection: When it comes to spring cleaning, you will need to create a checklist. The checklist should include home mold remediation, but first you will need to do a thorough inspection of the home. Basements, attics and crawlspaces are the most common areas, where mold will grow. These areas a mostly dark and damp, making them the perfect place for mold to grow. Mold remediation entails removing any materials that have been damaged by mold. It also includes cleaning up the area and making the necessary repairs. Many homeowners tend to take home mold removal on as a DIY project. While this works great for most people, mold removal specialists should clean up areas over 20 by 20’. Once the process is complete, you will probably need to add a dehumidifier to the area to reduce the moisture. Window Cleaning: One of the most dreaded spring-cleaning tasks is window cleaning. If you are like most people, you probably have difficulty achieving a clean window, without streaks, fuzz and smudges. Cleaning experts will tell you to utilize newspapers, vinegar and water to clean the windows. While this sounds sort of strange, it actually works, because vinegar is capable of killing germs and bacteria. It will also not leave any residual behind to plague the visibility of your windows. Newspapers work more effectively than paper towels, because they do not leave small particles of paper behind. The ink and paper act like a gentle abrasive that will give the windows a thorough cleaning. Paper towels are designed to absorb moisture and liquids. Newspapers are to be read by people, not for cleaning purposes, but they work wonderfully for cleaning windows. Use these nifty Spring cleaning tips and tricks to get organized! Yes, that time of the year. However, I find it easier to do at least one “spring cleaning chore” a month, so I don’t feel overwhelmed in March. Good planning and a little discipline go long ways. Thanks for this article, guys!